While deforestation rates have slowed and areas under protection have increased in recent decades, global biodiversity continues to decline at alarming rates. We are – as biologists have long been warning us – in the midst of Earth’s sixth mass extinction. In tropical forests, biodiversity conservation has seen a number of innovations in recent decades: land purchasing programs, sustainable development of non-timber forest products, debt-for-nature swaps, forest certification systems and commodity roundtables, indigenous parks guards, and payments for ecosystem services (PES) like carbon (REDD+) and water. While many of these efforts have enjoyed some success, clearly we need more. This Special Reporting Initiative (SRI) will ask: what is the next big idea in tropical biodiversity conservation? What new models are conservationists employing in the field? How are these working? Are they socially and economically sustainable? Are there effective models emerging out of sectors outside traditional tropical biodiversity conservation, like healthcare, microfinance, poverty alleviation, or energy production? What does academic literature say about innovation in tropical biodiversity conservation? What direction is conservation headed? Are there effective models or strategies being developed by companies? On what scale are these innovations being developed and implemented? 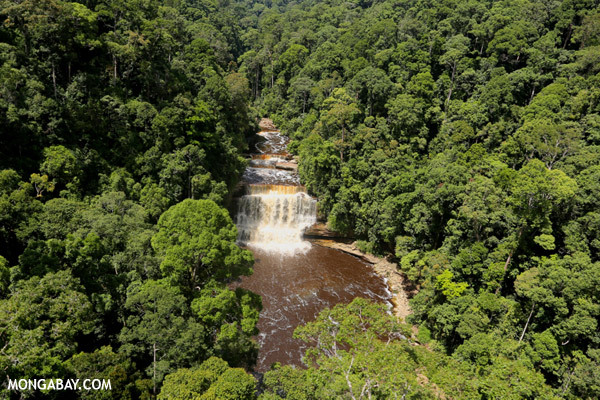 Is making forests more valuable intact than cut down actually possible? Is any innovation coming out of governments? This SRI does not have a specific focal geography, though research must be focused on conservation efforts that are preserving biodiversity in tropical forests. The scope could be a municipality in Brazil, a country, an entire region, or a selection of projects and innovations from around the tropics.